Congratulations on your engagement and upcoming wedding! If you’ve found your way here, odds are that you are looking for some customized wedding invitations that aren’t only beautiful and unique, but are also budget-friendly. 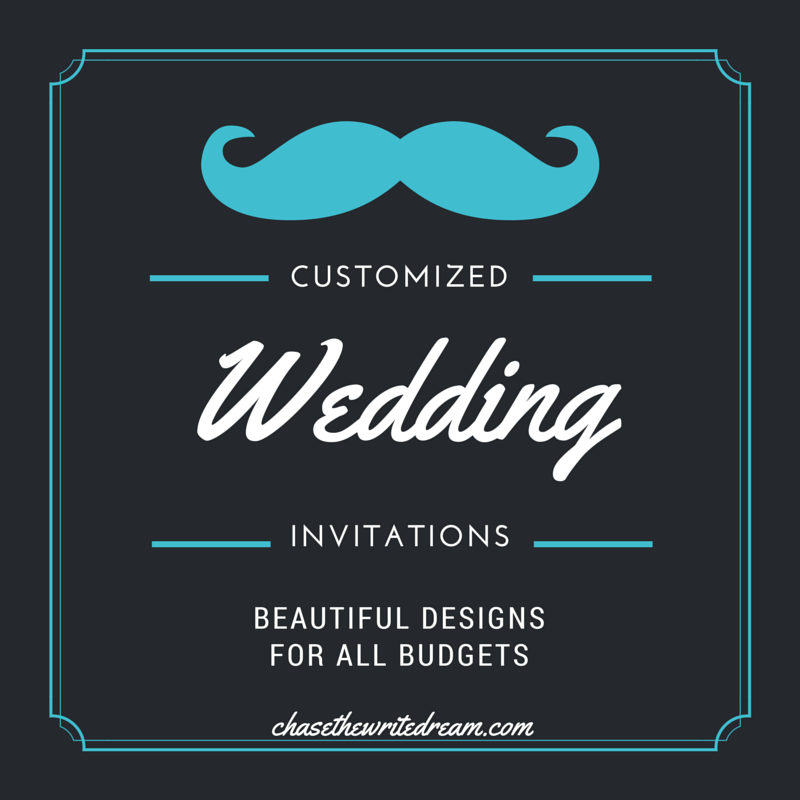 Now, I embarked on this journey of finding customized wedding invitations just recently because I got engaged myself and needed to find some super affordable ones that I could personalize and send off quickly. I didn’t want to go through the hassle of having someone do all the work for me because I honestly didn’t have the time or money. Although I had a tight budget (and I do mean tight), I didn’t want that to stop me from finding the ideal invites for our big day. 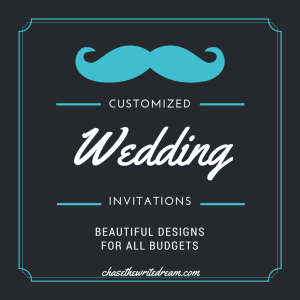 I took to the internet and was surprised to find all the DIY customized wedding invitations available, as well as sites that had different designs that I hadn’t seen anywhere else. Even though my process is done, I wanted to share my list of some of my favorite customized wedding invitations that I’ve found on the web with you! If you are having a more rustic wedding or you just like the idea of having your customized wedding invitations on something other than paper, then Night Owl Paper Goods is the perfect place for you! If you aren’t sure about how your design will look on wood, then you can order this sampler pack (picture above) for only $7. With a variety of templates and design options available, Night Owl Paper Goods provides you with the perfect base for creating a stylish and memorable invite. I like that they leave the text space open to my imagination so that I can type in whatever my heart desires. 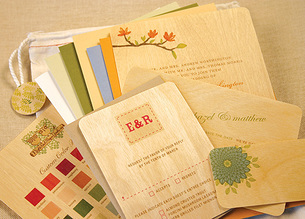 Additionally, these cards are made in the USA and are eco-friendly! P.S. The designers email you a digital proof before they start printing, that way you can see how the invites will look before they hit the wood! I have become so fascinated with Etsy lately because there is an ABUNDANT amount of talent there! 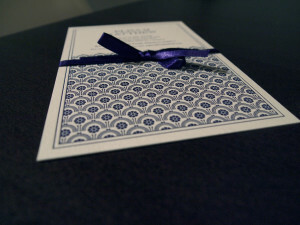 Little did I know that you could actually get digital downloads of all types of things, including wedding invitations! This is the perfect option if you are on a time crunch, don’t want to spend money on shipping, or just like having control over the printing process yourself. There are literally hundreds of thousands of designs to choose from for customized wedding invitations, so it may help to have some of your preferences narrowed down (such as your color, paper size, etc.). By the way, a simple search with the keywords “wedding invitations” on Etsy returned 194,251 results!!! Y’all, I had to include this one because it is super easy on the wallet, easy to do at home, and it includes pretty much everything you need for customized wedding invitations. These Wilton floral invitations are the ones that my fiance and I actually chose to use because we got a box of 50 (including the invitations, response card, envelopes for both, bows, ribbon, and invitation holder) for a mere $25. Now, it does take time to put them all together and the process gets a little tedious (I wrote an entire review on that), but for $25, I definitely wasn’t complaining! There are so many customized wedding invitations available for purchase on the internet… I can’t even begin to list them all here. My hope is that even if none of these fit what you’re looking for, at least you have some extra inspiration to help you narrow down your options. If you truly want to go at the whole process by yourself, try designing something on PicMonkey or Canva and just have your local copy store print off your invites. Even though this is your special day, don’t get caught in the trap of thinking that you have to spend an arm and a leg on your invites. There are so many great options out there. I have faith that with a little digging and a little inspiration, you’ll find the set that is going to be perfect for you and your fiance. This is really helpful! I’m on a tight budget, too. I still have a few months before I need to figure out exactly what I’m going for invitations, but I’m going to pin this to revisit later. You have some great ideas! Thanks Jenna! We just decided that invitations were one of those areas that we needed to save a lot of money on. Our response cards actually just have a link to our site where people can RSVP online…saves money in stamps! This is great!! Making/finding invites on a budget is perfect for a lot of people!! Great resource!! I loved Vista Print for my wedding invitations and cards! Colors are fun 🙂 I think we would have done more color if we weren’t on such a time crunch and had a bit more in our budget, but I’m still happy with how ours turned out. These are all so pretty! I have a couple of younger cousins getting married, I’ll have to point them in this direction! I sure wish Etsy and Pinterest and this blog had been around when I got married almost 8 years ago! I wish I had known more about Etsy in the past because it literally has everything! I wonder what other great services and products will come about in the coming years! SO pretty! Amazing how that one little detail can add up SO quickly! We planned our entire wedding on Etsy and Pinterest! LOL! These are great invites! I made my own invitations for our wedding and I loved it! One of the only things I really loved about planning the wedding. Awesome Karissa! Thanks for sharing 🙂 I wish your sister all the best! This is good for so many reasons! I spent way too much on my DIY invites! I would totally do it differently if I could do it over!